This was originally posted on the Kodable Blog on December 5th, 2014. Learn some of the basics of programming for FREE in only an hour by helping the fuzzFamily navigate the Technomazes on the planet Smeeborg! Kodable is completely self-guided. Kids five and up can enjoy playing Kodable on their own, with a friend or with an adult’s help. 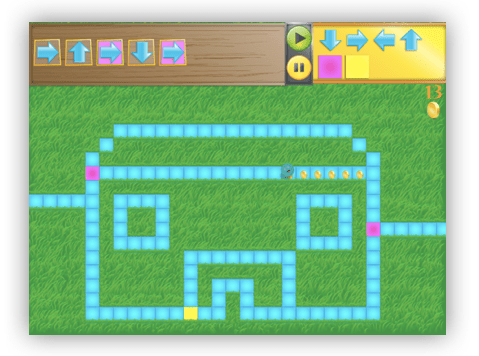 Kodable for iPad (free) Kodable Unplugged How it works Kodable is an iPad game that introduces kids to programming concepts in a fun and inviting way. 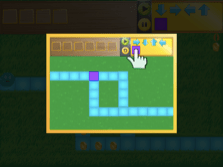 Kids must drag and drop commands to program their Fuzz to complete each maze they encounter. Each new concept is introduced with a guided tutorial. We’re excited to offer students without an iPad the option to learn programming basics “unplugged”! The fuzzFamily Frenzy is an exciting game where kids must program a partner (their robot) to complete a simple obstacle course. Check it out! If you’re curious how to use this with your class, you can read one teacher’s example here! Why choose Kodable to learn to code? 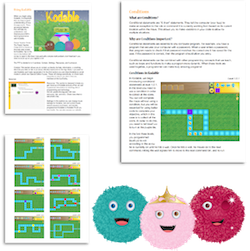 Kodable is the first step in learning to code. Students are guided through new concepts in a fun and familiar way. They are introduced to sequence, conditions, loops, and programming logic in the first 30 levels. These are concepts used in every programming language. 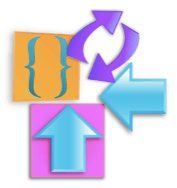 Learning the fundamentals first makes it easy to learn more advanced platforms like Scratch later. Kodable offers resources for teachers and parents.